Fear of the Zika virus has caused golfer March Leishman to announce his withdrawal from the Rio Olympics. Leishman is Australia's third best male golfer, ranked number 35 in the world. Each country can select their top two two golfers (or up to four if they are ranked in the top 15 in the official world rankings). Australian Jason Day is the world number one. Our second best golfer Adam Scott is ranked 7 but withdrew from Rio last month, earning a sharp rebuke from Dawn Fraser. Zika is a mosquito-borne virus which often shows no symptoms in the carrier, but which is highly infectious and can cause severe defects in newborn babies. For this reason, people of childbearing age -- which obviously accounts for the majority of Olympians -- have expressed fears of going to Rio. The Rio Olympic golf course has been specially constructed for the Games. It's right near the main Olympic Park. "It is with deep regret that I have informed Golf Australia that I will be unable to represent my country in the upcoming 2016 Summer Olympic Games in Brazil. Many of you may know that last April my children and I almost lost my wife, Audrey, to toxic shock syndrome. Since then Audrey has been prone to infection and is far removed from 100 per cent recovery of her immune system. We have consulted with Audrey's physician and due to her ongoing recovery from toxic shock and potential risks associated with the transmission of the Zika virus, it was a difficult yet easy decision not to participate. I missed playing in the 2015 Masters tournament to be at her side when she was originally stricken and I cannot risk placing her health in jeopardy. The Masters and the Olympics are the two biggest tournaments to which a golfer can be invited; however, my family will always come before golf. Finally, I hope that my fellow countrymen understand why I have made this decision. I hope none of them are ever in a position to have to do the same. My best to the Australian golf team in Rio De Janeiro and the entire Australian Olympic team in the upcoming Olympic Games. I will be cheering you on." There's one part of Leishman's statement that will please Olympic authorities. It's the bit that reads "The Masters and the Olympics are the two biggest tournaments to which a golfer can be invited". Golf is back in the Olympics after 112 years. But the sport is fighting to be taken seriously after numerous high profile withdrawals. The pattern of dropouts among golfers whose wives are in their prime childbearing years is pretty obvious. Until now, Zika hasn't been overtly mentioned. 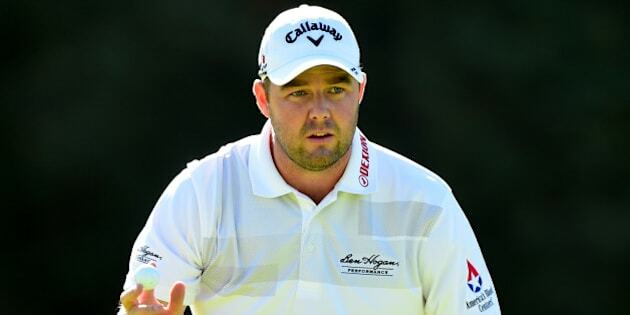 In Leishman's case, it's understandable why it has. Leishman's spot on the team will likely be taken by the next highest-ranked Aussie male golfer. Right now, that's three-time European Tour winner Marcus Fraser at number 63. He is followed by 2015 Australian Open winner Matt Jones at number 71. The Australasian rankings are here.